Double Header Story Delivers As Promised! Home » News » Local News » Double Header Story Delivers As Promised! By BStigers on February 12, 2019. The weekend double header storm delivered as promised, rain throughout Friday night and Saturday until Sunday morning when partly cloudy and sunshine weather blessed the day. 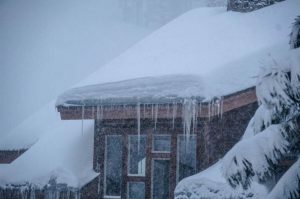 Three to five feet of new snow hit the Sierra and Tahoe ski areas and closed major and minor highways for several hours. I-80 was declared open Sunday afternoon by the Placer County Sheriff. Forecasters are predicting for Mountain Traffic this week, Light Snow levels to 1000 feet tonight, Light snow increasing in the afternoon at 2000 feet tomorrow, Tuesday. Heavy snow above 3000 to 5500 feet Wednesday with windy conditions.